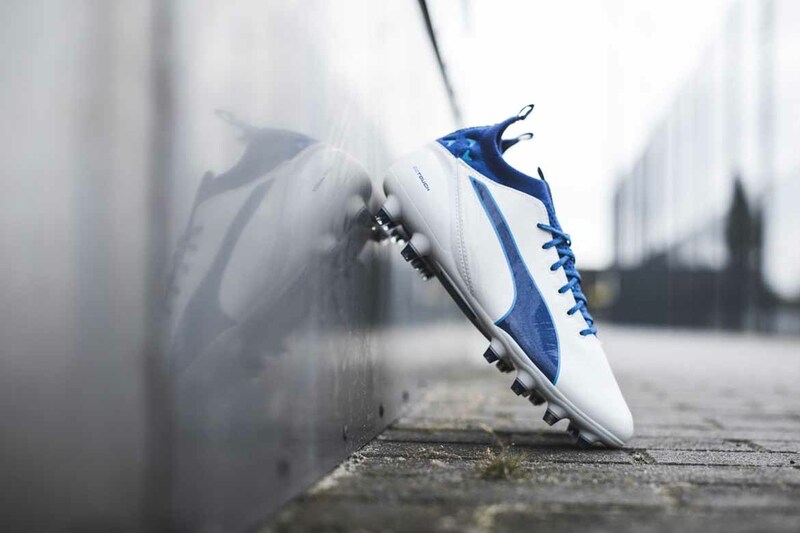 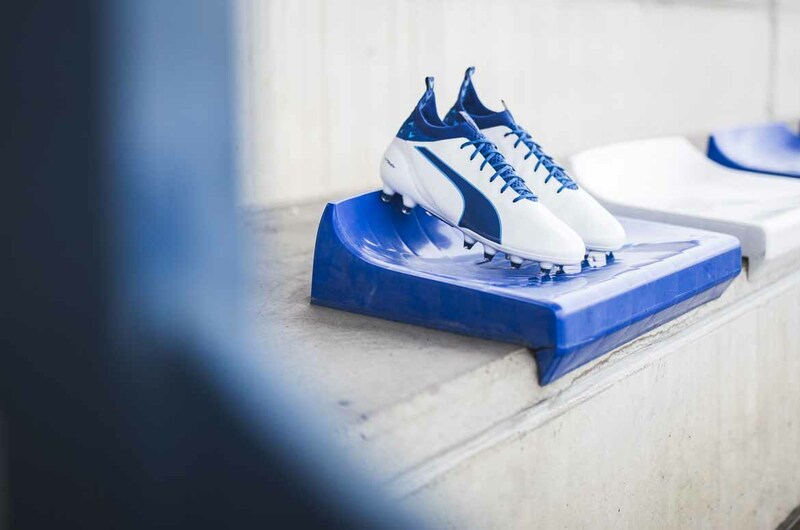 PUMA introduce a new white and striking blue colourway update for their newest recruit, the evoTOUCH. 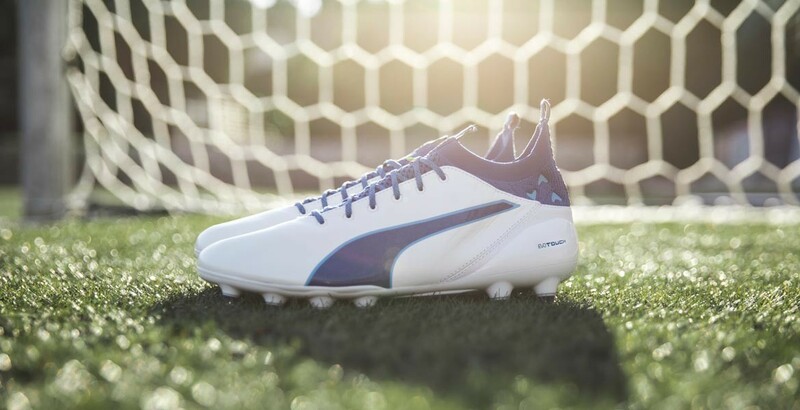 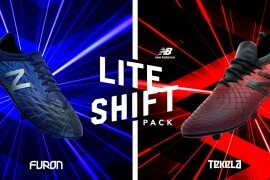 First released in July 2016, the evoTOUCH silo heralded a modern take on the leather boot scene, by offering a lightweight and innovative boot combined with the benefits of traditional leather. 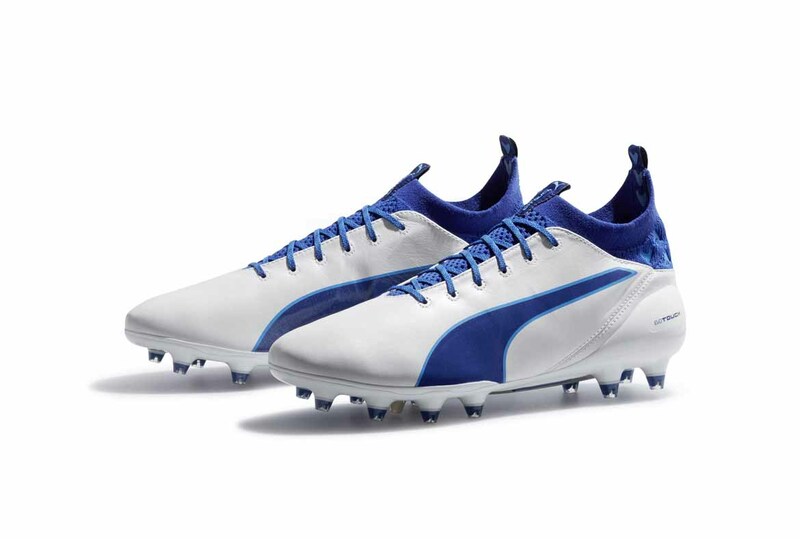 Featuring an allover white leather upper with a contrasting knitted blue sock and PUMA Form Stripe, the evoTOUCH boasts a sleek look and authentic style without compromising on top-level performance. 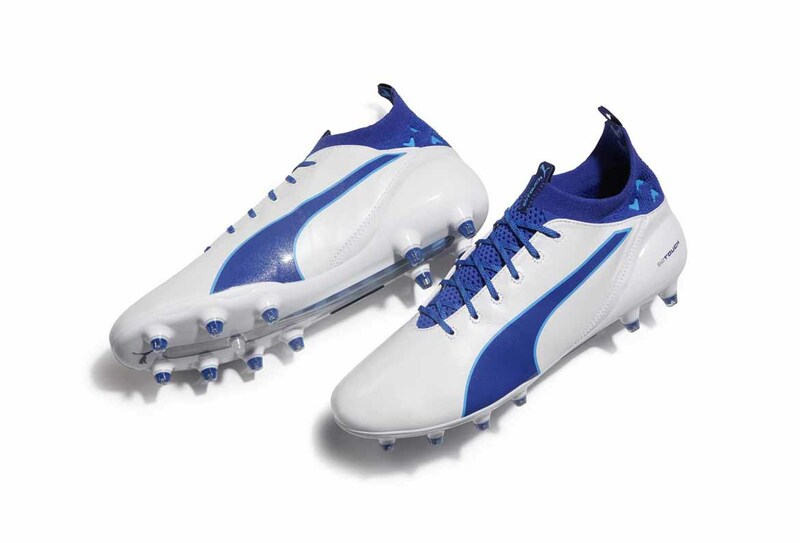 The evoTOUCH approaches the concept of touch from the inside out, rather than starting with the moment of contact with the ball. 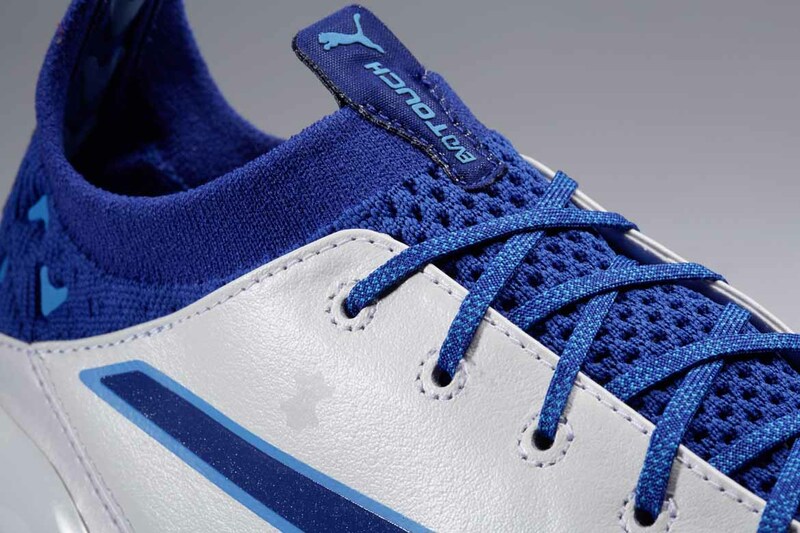 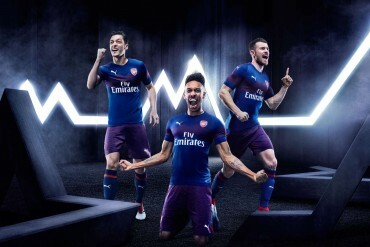 The design team focused on what the foot needs and doesn’t need. 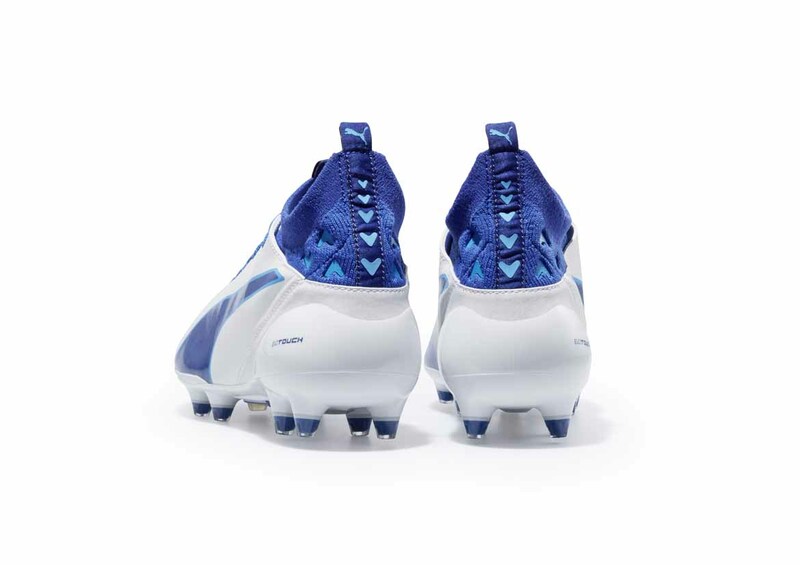 Lightweight Pebax outsole with conical studs.